A little Momus goes a long way. In small doses, the work of the Scottish indie singer-songwriter seems the stuff of brilliance, full of sexual repression, hedonistic abandon, and wild forays into intellectual alleyways. 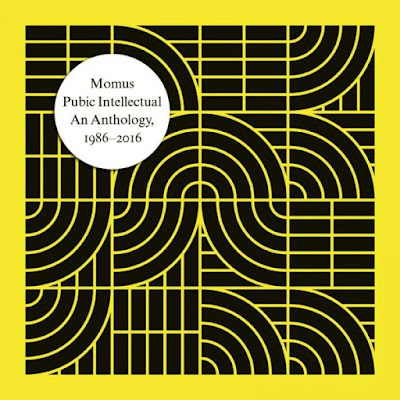 In aggregate, as collected on the magnificent 3-CD compilation, Pubic Intellectual: An Anthology 1986-2016, out tomorrow via Cherry Red Records, the work of Momus is frustrating and alternately precious and precise. The first set to span the guy's entire career and the various labels he's worked with (Creation, etc. ), this new superbly curated set is, to use words best suited to something more mainstream, the ultimate Momus album. Born Nicholas Currie, the singer is the cousin of Justin Currie of Del Amitri, a fact that seems embarrassing for those of you who only know that band's cheesy MOR hits and impressive for those of you who -- like me -- think that the first, self-titled Del Amitri album is an absolute masterpiece of its kind. But enough about them. What's the deal with this Currie, this Momus? I first became aware of his odd brand of indie-pop thanks to the inclusion of "Murderers, The Hope Of Women" -- here, of course -- on the essential 1988 Creation Records compilation, Flowers In The Sky 1984-1987. 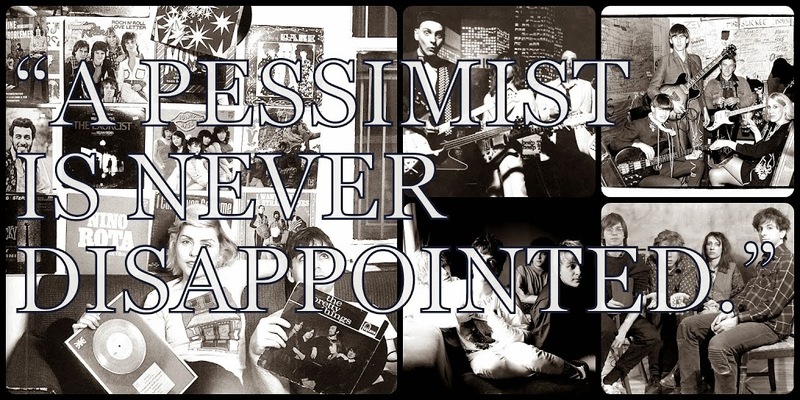 Like that haunting ditty, the other early ones here -- "I Was A Maoist Intellectual", "The Homosexual", "The Hairstyle Of The Devil", "Born To Be Adored" -- are semi-precious, semi-ironic missives that blend the witty misanthropy of the best Morrissey cuts with the detached self-awareness (and self-love) that Jarvis Cocker would bring to full flower later in the peak years of Pulp. Momus here is refining his craft and finding a balance between what are -- let's face it -- the tropes of folk music and a decidedly more arch delivery. At his best in these early years, like on the brilliant "Closer To You", for instance, Momus finds some weird balance between material that is comparable in some ways to that of other performers in the era and which becomes in spots also sort of tongue-in-cheek takes on the sonic sexual explorations of Prince or Marvin Gaye. If someone hasn't already written it about Momus it's worth writing now: he's the child of the 2 legends that kicked in 2016: Bowie and Prince. And I reckon that that description would make Momus wildly happy. After this early period, as Momus lets his Orientalism percolate, the sound is more intricate, the instrumentation more adventurous within the limits of his bed-sit electronica, and -- yes -- this Disc 2 stuff is vaguely on par with the best material from Pet Shop Boys ("London 1888") but somehow less arch. Currie's intellect usually insists on taking the wheel when sometimes his heart would be a better driver. Still, things remain largely catchy here, even if the results are less warm and more clever. "I Want You, But I Don't Need You", for instance, is very nearly as peppy as a Lilac Time cut yet Momus keeps things a bit more highbrow even as the tune gets more lively. Despite his best efforts to make these efforts more than pop songs, his tunes here are uniformly jaunty. And I say that as a compliment. And that, in a nutshell, is the crux of the craft of Momus: there's a conciseness here that is remarkable for someone so prolific, so prone to attempting to do something that is Art with a capital A. With the possible exceptions of Morrissey and Robert Pollard, I can think of no other artist who has written so many songs that are so consistently good and yet so succinct, for the most part. Momus indulges his intellect and rarely does the music itself feel indulgent. Yes, there are moments of real beauty on Disc 3 of Pubic Intellectual: An Anthology 1986-2016 -- "Love Wakes The Devil", for example -- but the songs by this point feel more like brief experiments with style and genre than anything else. 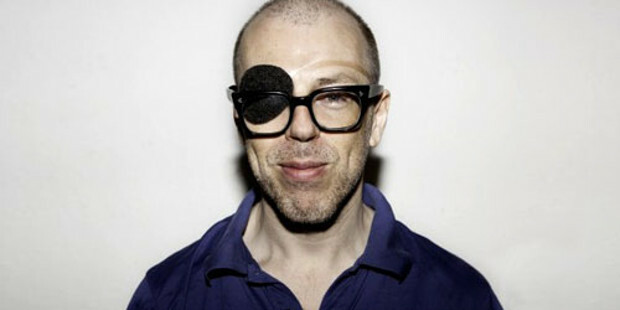 Marvelous and inventive, the more recent tunes from Momus on this set sacrifice a certain directness for explorations into matters of technique. If the instrumentation in spots ("Widow Twanky", "The Art Creep", "System Of Usher") is fascinating, the cuts here don't grab in the same way that the earlier tracks still do. There is a parallel here to what Stephin Merritt was doing in this same period with the big difference being that the Magnetic Fields guru always seemed more interested in matters of the heart than Momus did. Currie is using the 4-minute single to explore the very notion of what a pop song can be and Merritt is (always) trying to write The Great Love Song, it seems. 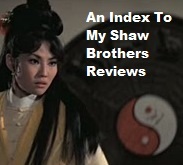 And yet both artists are willing to experiment within the brief forms on offer as indie artists. Within those confines, Momus thrived and Disc 3 of this collection showcases his boldest, bravest forays into the permutations of his art ("The Vaudevillian", "Bibliotek"). That's a rather simplistic comparison but, really, the work of Momus confounds at times and that is why he has remained a fascinating artist for so long. Certainly less lovable than heart-on-his-sleeve Moz, and less obviously funny than Jarvis, Momus strikes a similar figure of odd British obsessiveness with matters of the loins. Incapable of writing something easy or plain, Momus rewards a listener who is looking for a moment of high art buried in the forms of the rabble. Had he been less confounding, he would have written "Help The Aged" but he can't; he writes something as absurd and obscene (and obscenely funny) as "The Manticore", you know? With pithy, witty liner notes from the artist himself, Pubic Intellectual: An Anthology 1986-2016 is the perfect Momus compilation. The first offering to survey his entire career across numerous labels I'm too lazy to mention, this Cherry Red Records release is the easiest way to get re-acquainted with this indie legend, or to get familiar with his stuff for the first time. Alternately illuminating and infuriating, Momus offers up the fruits of his intellect here and the results charm and inspire throughout. What makes this release so fine a way to listen to Momus is that each disc of this 3-CD set serves as a sort of standalone offering of a period in the 3-decade career of Momus. 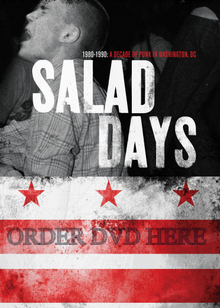 Distinct in style, each CD provides example after example of the clever craft of this guy. And yet, taken as a mammoth whole, the 50+ cuts here deserve attention as the samplings of one of the most prodigious talents to have ever wed his wits to such a silly, wonderful thing as the pop single. In his mind, and in mine, Momus is McCartney and these cuts, in so many odd ways, are perfect and catchy little bursts of the greatest popular art form the 20th century produced. 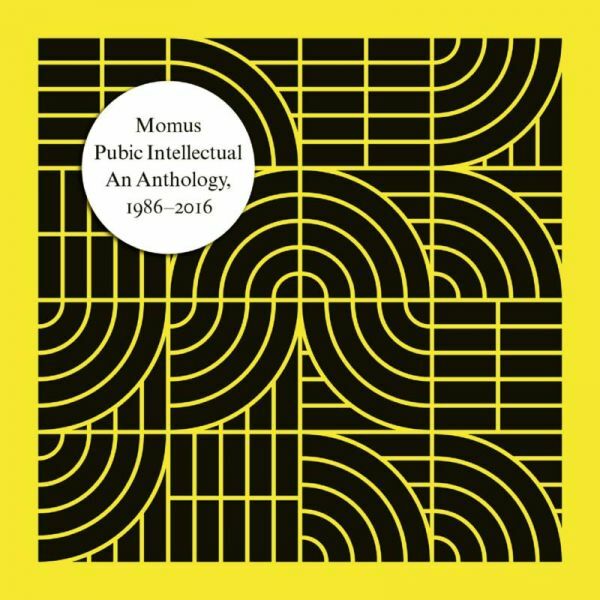 Pubic Intellectual: An Anthology 1986-2016 by Momus is out tomorrow via Cherry Red Records. Follow the adventures of Momus via his official website.